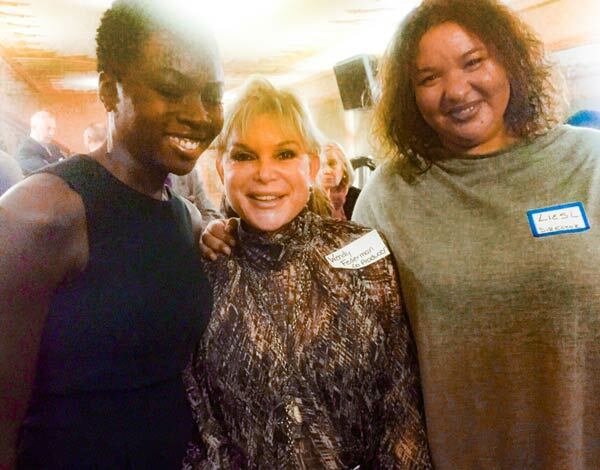 Wendy Federman honored to be With Danai Gurira, "ECLIPSED" writer, and Liesel Tommy, "ECLIPSED" director at first day rehearsal at Bway's Golden Theatre. 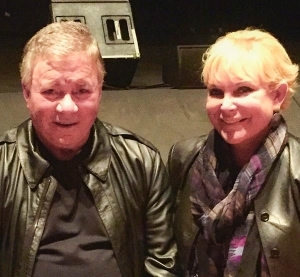 Wendy Federman at the Bergen Performing Arts Center with "Captain Kirk," William Shatner. 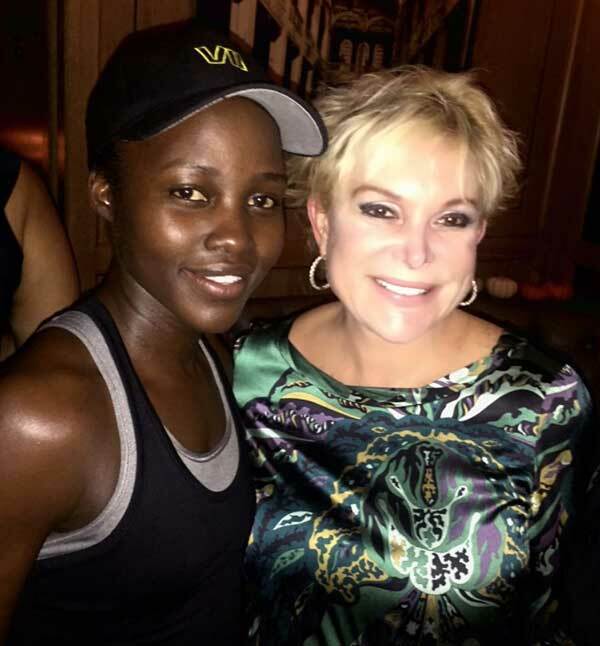 Wendy Federman with the luminous Lupita Nyong'O after her brilliant performance in the sold out run of "ECLIPSED" at the Public Theater. I'm proud to be on the Producer team bringing this brilliant actress & play to Broadway beginning 2/23/16. 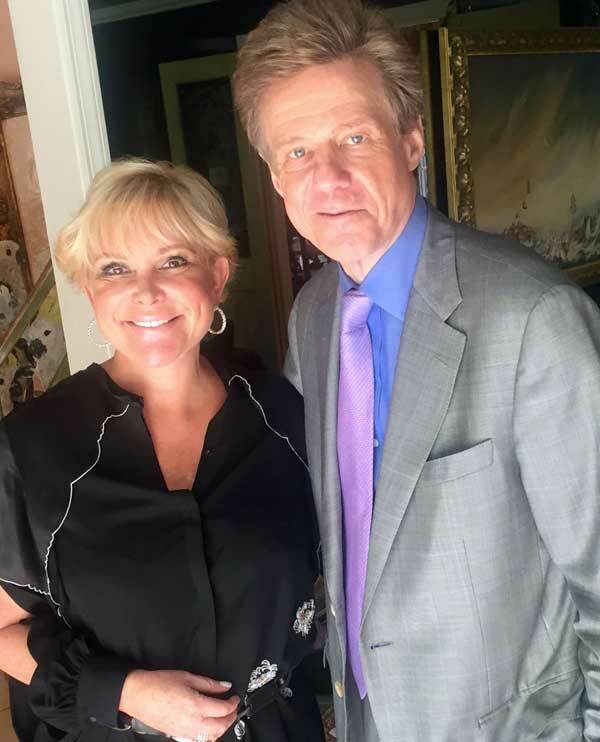 Wendy Federman with WABC-TV Channel 7's entertainment reporter Sandy Kenyon during the shooting of a video segment featuring Wendy and her current and up-coming Broadway co-productions. 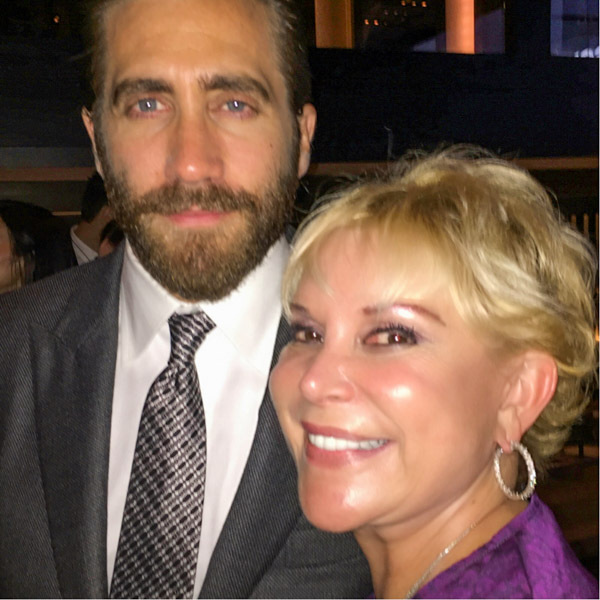 Wendy Federman with Academy Award nominee Jake Gyllinhaal at the Premiere of his new movie "Southpaw”. 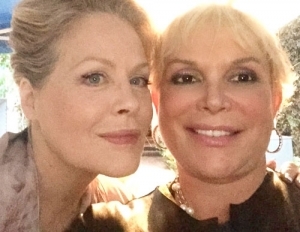 Wendy Federman on the set of "WAKEFIELD" With Beverly D'Angelo who plays "Babs," Jennifer Garner's mother in the film. 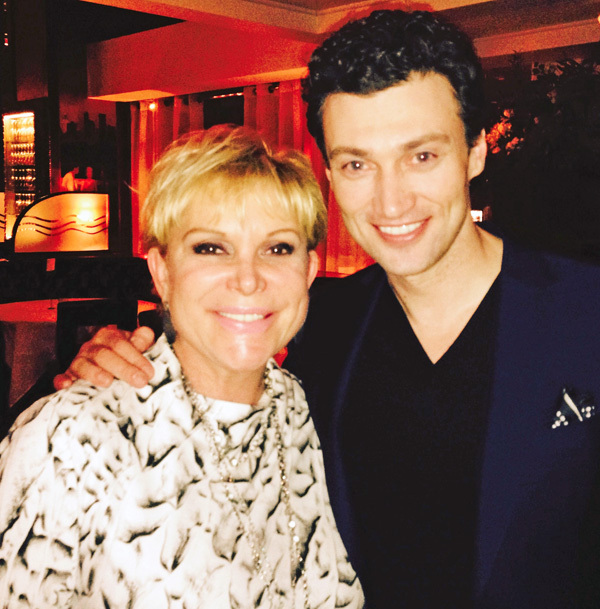 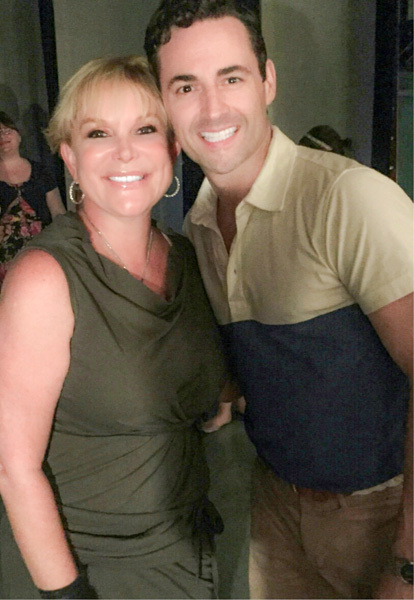 Wendy Federman backstage at "An American in Paris" with Tony nominee Max Von Essen. 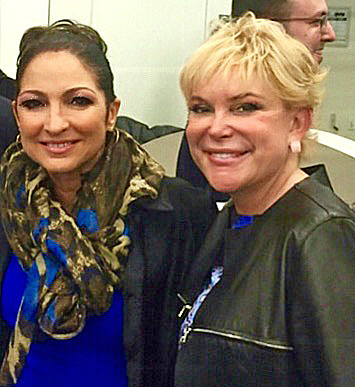 Wendy Federman welcoming Patricia Ward Kelly, the widow of the legendary Gene Kelly, to a performance of "An American in Paris”. 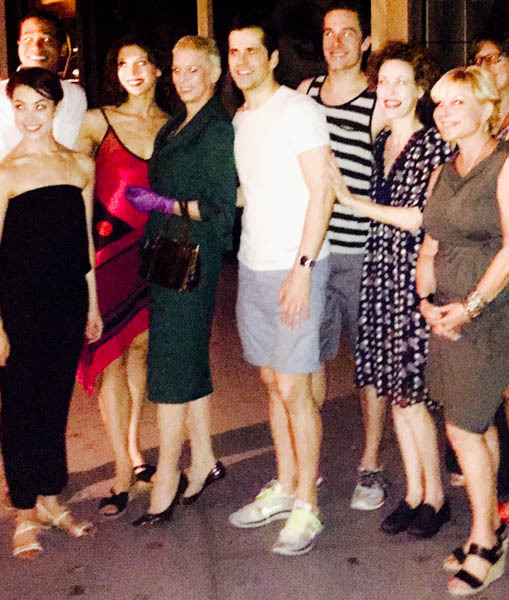 Wendy Federman and cast welcoming Patricia Ward Kelly, the widow of the legendary Gene Kelly, to a performance of "An American in Paris”. 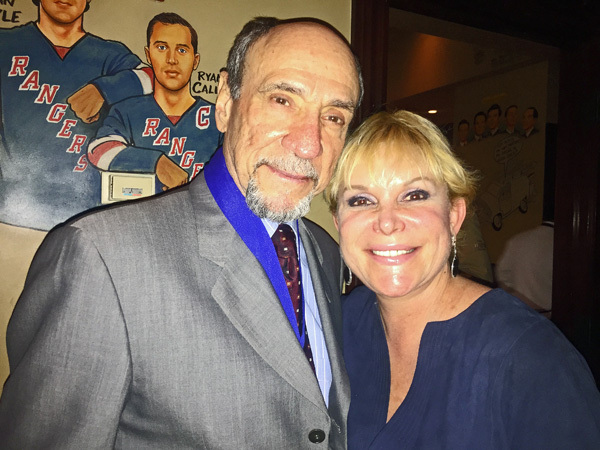 Wendy Federman backstage at the St. James Theater celebrating the 100th performance of "Something Rotten”. 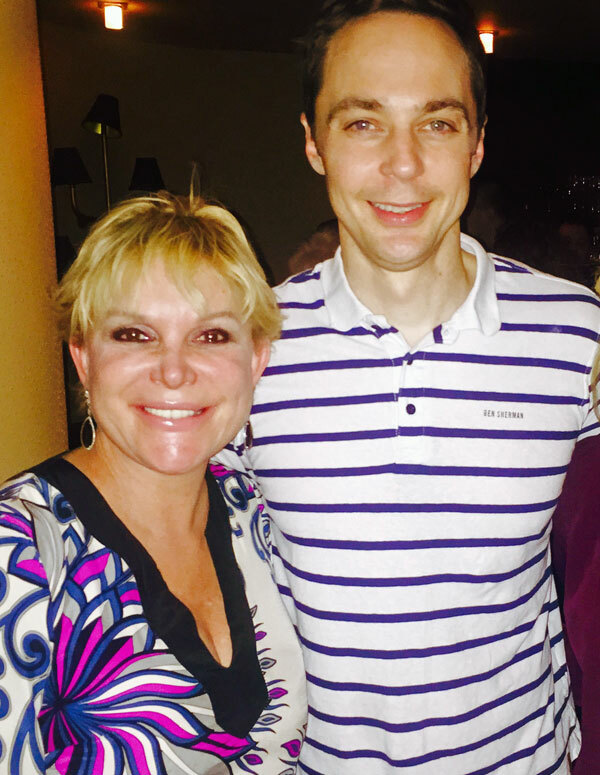 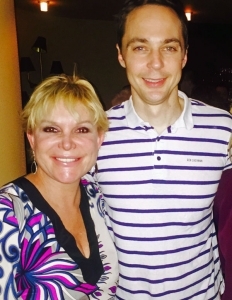 Wendy Federman with multi-Emmy Award Winner Jim Parsons celebrating the first preview performance of their new Broadway show, "An Act of God"
Wendy Federman celebrating at the Broadway opening of "The Heidi Chronicles" with the show's star, Tony Award Nominee Bryce Pinkham. 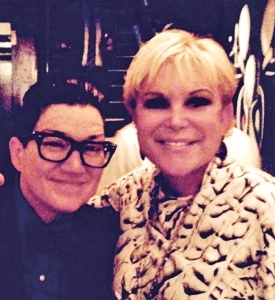 Wendy Federman celebrating at the opening of Broadway’s “The Heidi Chronicles" with the star of Netflix’s “Orange Is the New Black”, Lea Delaria. 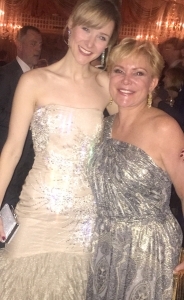 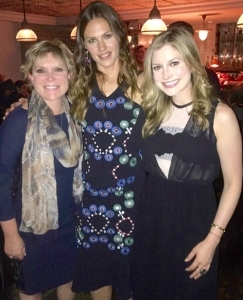 Wendy Federman celebrating the Broadway opening night of our "An American in Paris" with star Jill Paice. 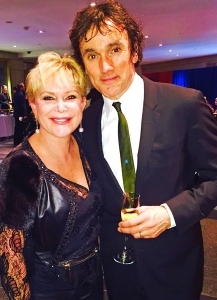 Wendy Federman celebrating Broadway opening night of "Wolf Hall" with our Sir Thomas Cronwell, Ben Miles. Wendy Federman celebrating the first day of rehearsal for our Broadway bound new musical “On Your Feet" with multi Grammy award-winner Gloria Estafan. 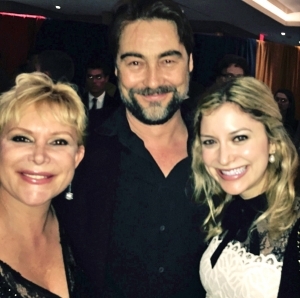 Wendy Federman celebrating the opening night of Broadway's "Wolf Hall" with our King Henry VIII and Olivier award winner, Nathaniel Parker. 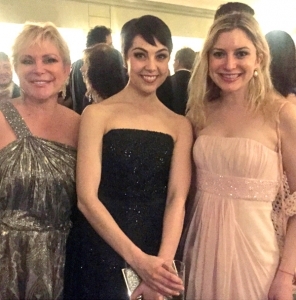 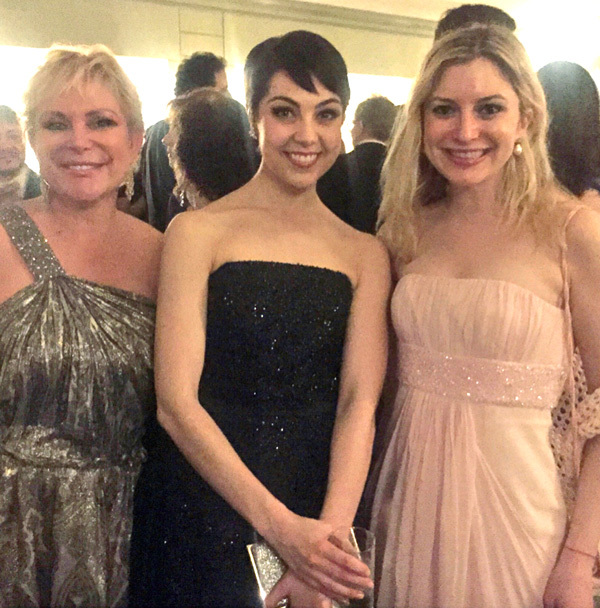 Wendy Federman celebrating the Broadway opening night of our "An American in Paris" with ballet world star and our show's star, Leanne Cope. 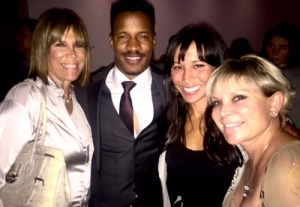 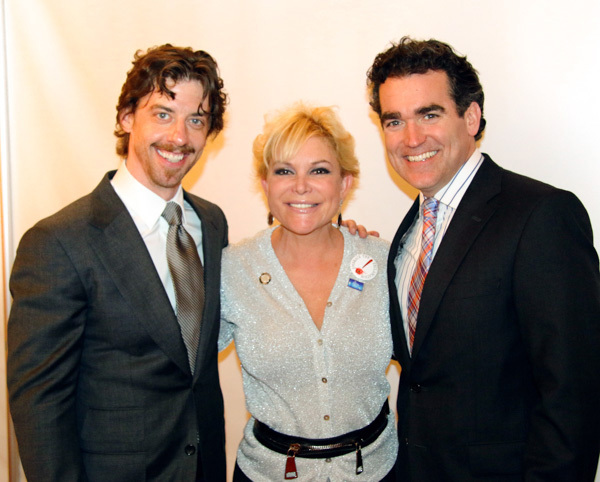 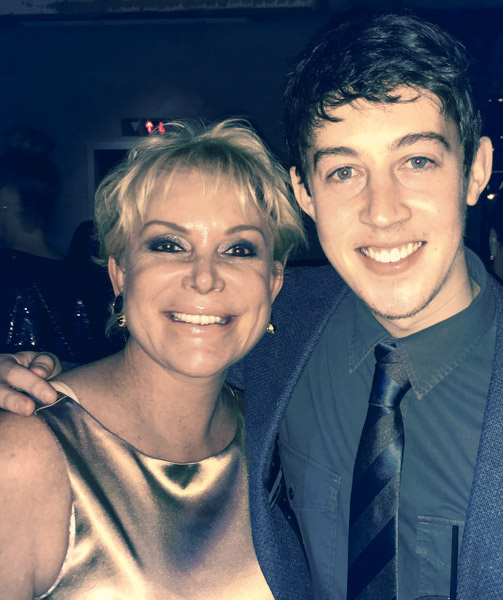 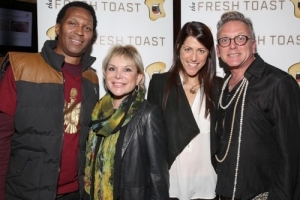 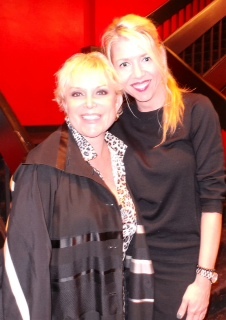 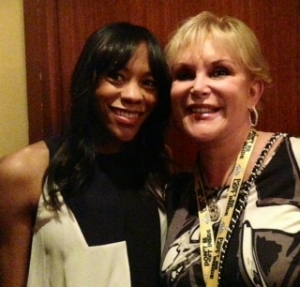 Wendy Federman with Tony Award Winner "The Book of Mormon's" Nikkei James at a 2014 pre-Super bowl event. 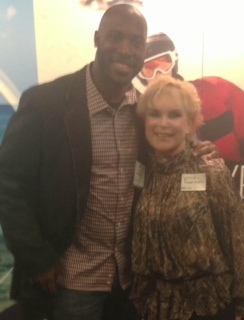 Wendy Federman with football great Will Weatherspoon at a 2014 Superbowl event. 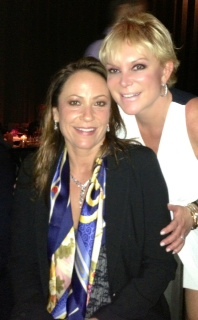 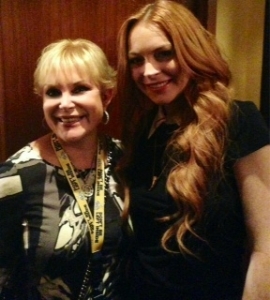 Wendy Federman with Lindsay Lohan at a 2014 NYC pre-Superbowl event. 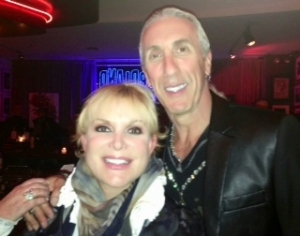 Wendy Federman backstage with Dee Snyder of "Twisted Sister" fame after his rockin' performance at NYC hot spot Birdland. Wendy Federman with Tony Award Nominee Gavin Creel, the star of my Broadway co-production of "Hair", backstage after watching Gavin in his starring role in "The Book of Mormon" in London October 2013. 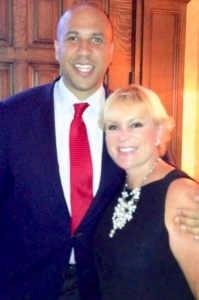 Wendy Federman with his Honor Senator Corey Booker at a private event September 2013. Wendy Federman with the renown artist and great granddaughter of Henri Matisse, Sylvie Henri Matisse at a private dinner at Art Basel 2013 in Miami Beach.